So not radium then I guess. my HIGHLY limited knowledge is that this is what radium does -- glow under UV then rather quickly stop glowing. Where are you getting your information from? The article I liked to from one of the worlds more serious Rolex collectors says Radium will need a UV light source to glow. You can even see that the lume has broken down in places by comparing the UV photos to the ones I did with the microscope. Anyone else still on the fence? Rene, the 20-25 range is fairly typical ? 73 is extreme, I think, we should check w/ Jack or Roy Davidoff, who did a ton of research ? Any more thoughts on my watch Fred? Rene - I don't understand the importance of your comment. Whats the issue if the 1191 dial has a higher reading than your dial? Doesn't that fact that it measures anything at all on the Geiger say its Radium? Wouldn't the reading be somehow proportional to the amount/concentration/makeup of the radium paint originally applied? You said mine or yours was off. I think yours is off in the article I linked to the readings were between 5 and 37 and these were dive watches with better seals & thicker glass. Are you sure you had a correct reading? I didnt see an article linked ? so the 21+ is incredibly high , hence I doubt the measurement or tool ? On March 28, the highest reading occurred approximately 20 km from the Fukushima plant at 78 microsieverts per hour. In the rolex passion report article the readings are 5-37. I have a 1945 Tudor and a WW1 issued pocket watch to test tomorrow. great , please measure a tritium watch as well ?, as reference point ? 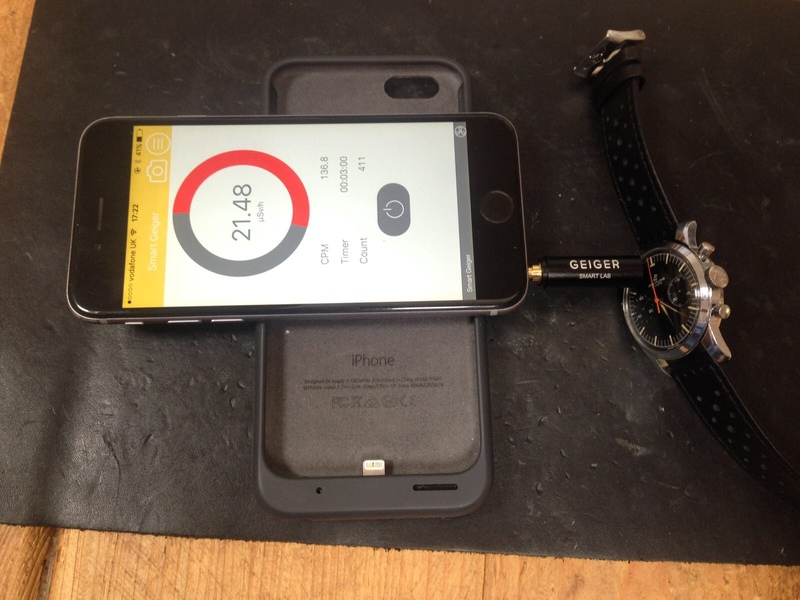 Have you got any other watches to compare with to see if your counter is working correctly?